Hey, lovely! I have an AMAZING giveaway for you!!!! 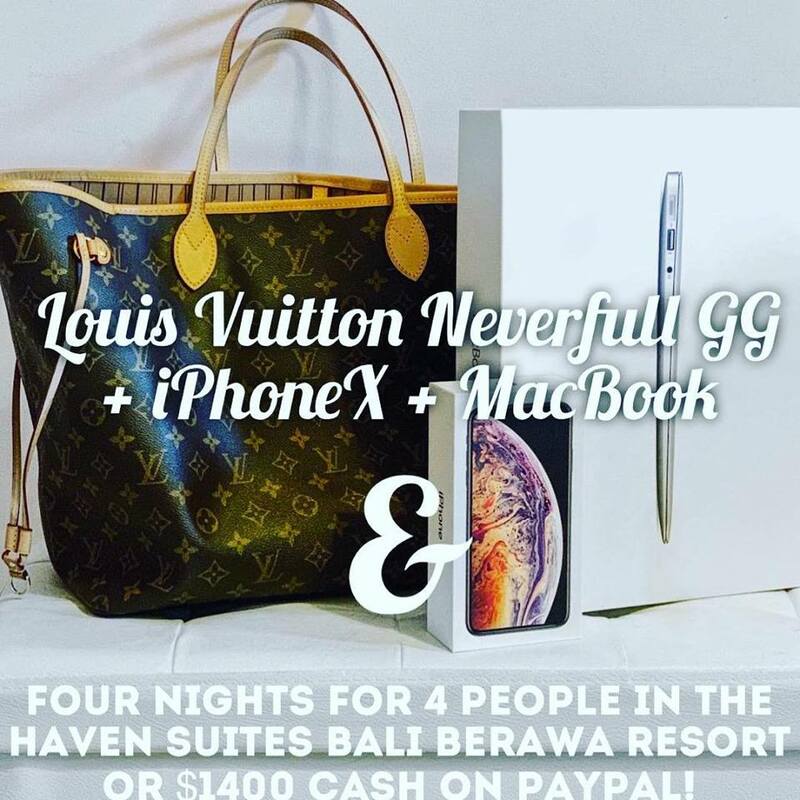 I’ve teamed up with some amazing bloggers & we’re sending one of you a MACBOOK + IPHONE X + Louis Vuitton Neverfull GG + 4 nights for 4 people in Bali in “The Haven Suites Bali Berawa Resort” or 1400$ on paypal!! Did you get all that?! Someone is going to WIN ALL OF THIS!!! 3⃣ TAG a friend in the comments and under @MUAACLOSET post (multiple tags allowed, every tag is a bonus entry, 1 friend per comment – if your friends join, you’ll have a bonus!) ❌DO NOT UNFOLLOW! Hurry! Giveaway Ends the 9th of April! Hey, lovely! I have teamed up with some amazing small shops and bloggers to bring one lucky person our Rae Dunn $500 PayPal cash giveaway! It just takes 30 seconds to enter! 1️⃣ Follow me @ladyboarder9669 on Instagram HERE. 4️⃣ Comment and Tell us what your favorite part of spring is. Good luck! Hurry, Contest Ends Soon! Hey, lovely! 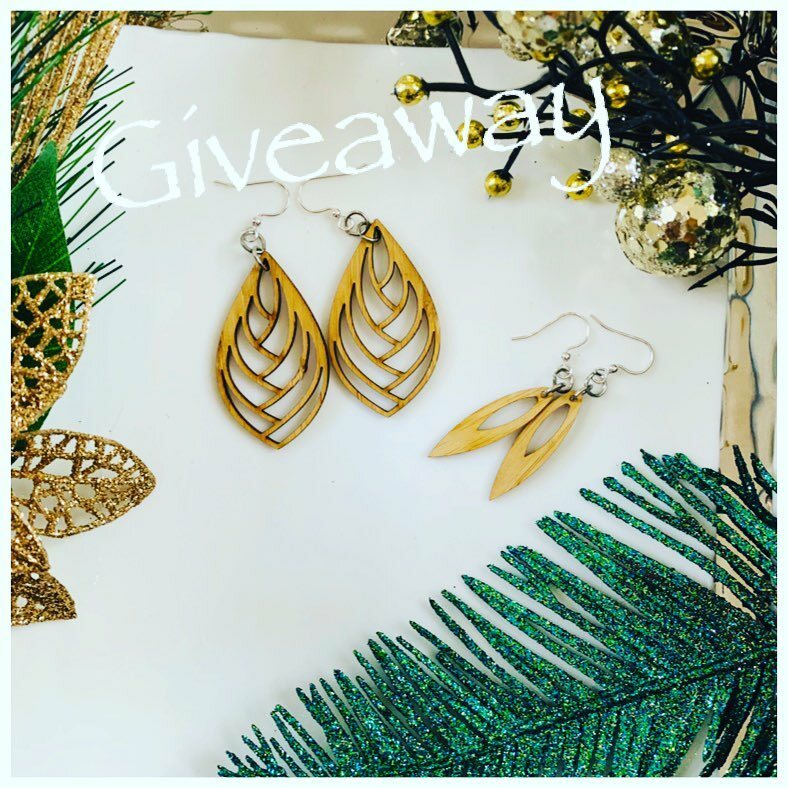 Win a set of Chic Bamboo earrings! Check out some of the beautiful styles from #GreenTreeJewelry – makes fabulous Holiday Gifts! 2. Heart this post on IG. 4. Follow the sponsor GreenTreeJewelry.com on IG. Good luck! Winner chosen Dec. 24, 2018. Open to US only! Must be 18+ to enter. MyStyleSpot (ladyboarder9669) is not responsible for prize fulfillment. Don’t forget to Follow MyStyleSpot on Google Plus and Tumblr to stay up to date on all things GIVEAWAYS!